Very poor People need your donations! Our goal is always to help self-help. We support and help people and children in need in the short term – but always also in the long term through education, knowledge and starting capital for their own business. … the people in need. All our employees are 100% free of charge for our projects. Similarly, through the integration of Cambodian physicians and organizations, we do not pay additional fees. We are, with our employees, directly on site and speak with the people. Some employees are Cambodian doctors. We know the real problems of people and can therefore help them very accurately. We found a very special situation in the Maung Russey region of Battambang. The rural region near the Thai border is a little out of the way and has almost exclusively a very poor agricultural population. In many places there are no fortified streets. Drinking water is also not available in many regions, and people are laboring with the necessary water of the water reservoir dug during the Khmer Rouge period. The water is very poor quality. Schools for children were in short supply. Children had to walk 10 km to the nearest school – over stony roads and partly even without shoes. These routes were not only painful at temperatures as high as 40 ° C, but also very dangerous for the children. So it was no wonder that many children did not even go to school and instead worked on the fields of their parents. We built and equipped three schools for about 850 children in this region, trained and supported teachers, and bought water filters for drinking water. We daily work on training programs for teachers and students, especially regarding hygiene (hand wash) and environmental protection. Only a few kilometers away from the capital Phnom Penh is this very poor village. In the rainy season the water regularly rises so high that the partly very dilapidated houses on stilts stand directly in the water. Many houses are only accessible via boats at this time. The poverty and the suffering of the people is visible everywhere. Due to the illness of their child and to pay the bills for the hospital, the family had to sell their old house and moved in with a sister. In this small house there were living 4 adults and 6 children under very poor conditions. With only 280 euros we are able to expand the house and give the family a better life and perspective. The consequences for people and families are bad. Isolation, loss of the job and often also expelled from the village community these people struggle without income for the naked survival. The consequences for the affected families are huge and irreversible. People lose their jobs and are often being excluded from the village community. Without any income these people struggle to survive. Thanks to our help, many families have been able to sustainably and permanently help us and provide a new perspective. With the support of Tree For Hope, many families were able to build up an independent and sustainable income and received a new, brighter perspective. Shoes for children – We give over 1300 children shoes – Support us. In the isolated countryside of Battambang, near the village of Maung Russey we have over 800 children visiting our schools every day. The roads, as well as the supply of drinking water are lacking. In the rainy season it is almost impossible to reach this area since the gravel and sand roads turn into slippery mud-pools. In the hot and dry season temperatures can rise to 35 degrees, turning these same road into a sometimes blinding dust storm. Some children have to overcome these inconveniences, sometimes barefoot, for multiple hours every day to go to school. And they do, just because the want to study. For this reason we set up a project, in cooperation with TOMS, a local NGO and CCF (Cambodian Children Fund), to provide these children with proper shoes. Together with three schools in the area of Phnom Penh, Tree For Hope will be responsible for the distribution of almost 1300 pairs of shoes. We are also aiming for a long-term solution in this case. Support us with a small donation – the small children’s feet will be very grateful to you! It all started about 9 years ago, when Hans Bosch, the founder of “Tree for Hope”, wanted to put an end to the suffering of some people here in Cambodia and voluntarily provided money, help, support and knowledge to the most needy people and children. Together with two friendly Cambodian physicians and friends, the idea and motivation to develop more quickly developed. Almost one third of the population was killed. In the time of Pol Pot’s reign, almost one third of the entire population was killed. Especially intellectuals like teachers, doctors, professors, etc. were systematically murdered by the “Khmer Rouge”. These were regarded as “enemies of the regime”. The goal of the Khmer Rouge was a society of peasants and farmers. The aim was to literally start at 0 again. Since the end of this terrible period, much has changed in Cambodia. 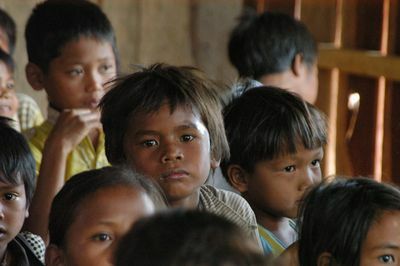 Nevertheless, Cambodia remains one of the 20 poorest countries in the world. The average income of a Cambodian is only around 120 euros per month. In addition, the lack of well-educated teachers, doctors and other highly educated people is still felt today. The victims are particularly the children and often disadvantaged or sick people, who are struggling daily to survive in terrible poverty. Especially in some remote areas, where the situation is even worse. “Tree for Hope” is an organization that runs completely on volunteers consists. We make sure that 100% of your donations really reach the people and children who really need them. With only one Euro you can buy a child a pen and a notebook to go to school or buy someone water and rice. We are also running bigger projects. So far we have built 3 schools, offering around 850 children the chance to get education and built on a better future. We take care of the water supply and water filters, help people in need with start-up capital for their own business (help for self-help), support families, provide motivated students with a scholarship, support and initiate sports projects to improve social cohesion and much more . Can I choose for what I donate? If you are for example interested in supporting a specific project, family, school or child (education), we will make this possible. Please contact us directly or send us an e-mail. Will I get a report of how my money was spend? As a registered charity organization (Anbi) in the Netherlands, we publish a detailed annual financial and activity report. In case of specific donations for a project, family or child or other individual donations, we are happy to provide you with individual information about the activities that we could start by your contribution. Do you think your help really brings something? Currently over 800 children can finally get education. 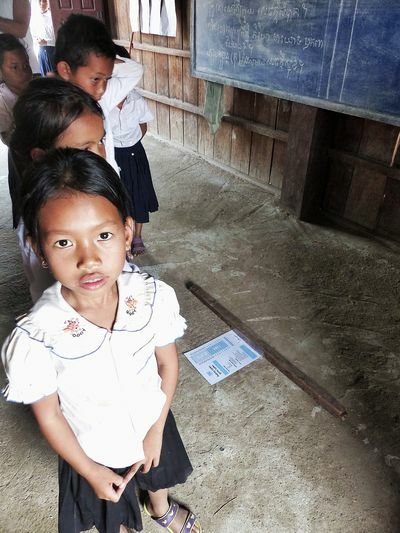 Besides the regular education they also get taught about environmental problems and hygiene. At the clinic of Dr Sophea there are right now 13 students able to study thanks to your support. Countless children now have access to clean drinking water with the provided water filters and many families developed their own income and are able to feed themselves thanks to the start capital we provided. And last but definitely not least we are able to save lives with the money in our emergency fund. So yes, we are pretty sure we are able to really help. The children are the future of the country. We try daily to give the sun of life a little more light by our actions. What happens if you do not have enough money? All our active members and employees work on a voluntary base in the projects. In addition, we even spent private money on our projects sometimes, especially for the families. However, we cannot pay more than we have. We always check very carefully which families and children need our help the most. If there is not enough money available we might not be able to help everybody and we are sometimes forced to take difficult decisions. How is the healthcare system in Cambodia? 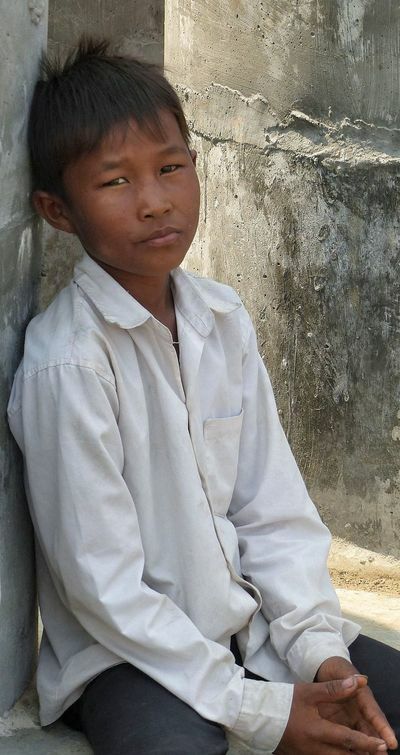 In general, the medical care in Cambodia is very limited. Most people who are in our projects have no or a very low income. You can get a “poor mans” ID-card from the government. With this card you receive free healthcare and medicines. In practice it unfortunately means that they have to wait forever and are usually the last to receive help . Another problem is that some members of our self-help groups work in a factory. When this factory finds out that these people are HIV-positive (for example due to visiting a hospital), they will lose their job immediately. This is one of the reasons why complications are not noticed in time, and people become unnecessarily ill or, in the worst case, die. Do people with HIV receive the necessary medicine? For most people who are in our groups, HIV medicines (a combination of three different drugs) are available. However some are only available to the people who are able to pay for it. Therefore there is only a very limited number of combinations of drugs available for people who have the “poor mans” ID-card from the government. The lack of more expensive medicines lead to defective combinations, which can again lead to life-threatening complications. One of our priorities therefore is to improve medical care for our HIV patients.